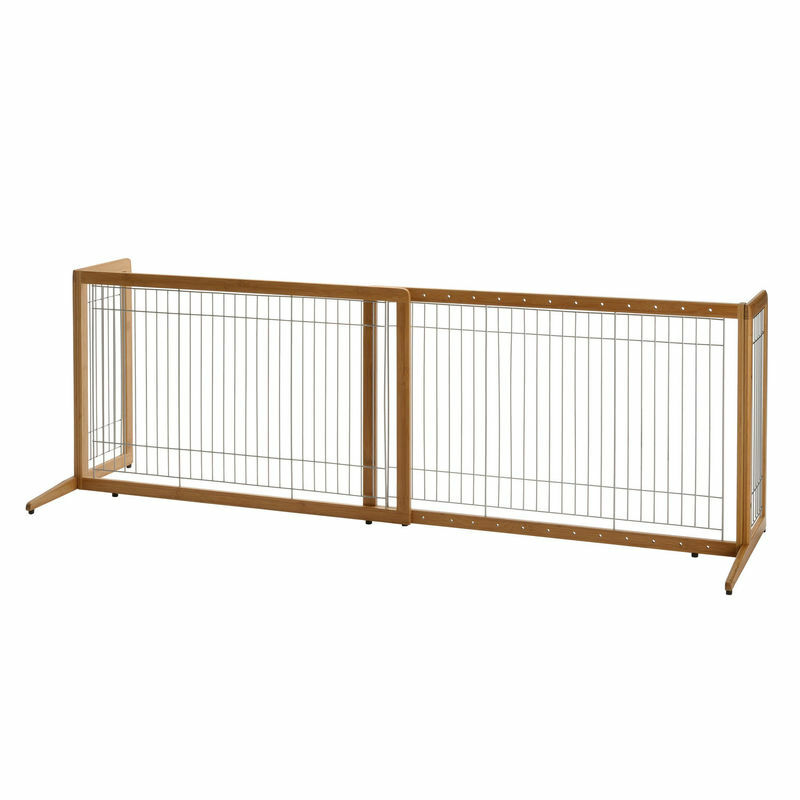 Richell Také Freestanding Pet Gate Coffee Bean 40.4" - 70.5" x 20.1" x 24"
Plus, it has many of the same special features as Richell’s other freestanding pet gates. It’s lightweight so you can place it anywhere you need it, any time. The Side Panels are specially designed to keep the gate from tipping over while the Rubber Feet keep it from sliding. And the gate complements Richell's other bamboo products beautifully! Assembly required. General Product Information: Wire is 7 Gage or 0.144". Made from eco-friendly, sustainable bamboo. Dimensions: 40.4" - 70.5" x 20.1" x 24"
39" x 25.25" x 2.75"
39" x 25.3" x 2.8"